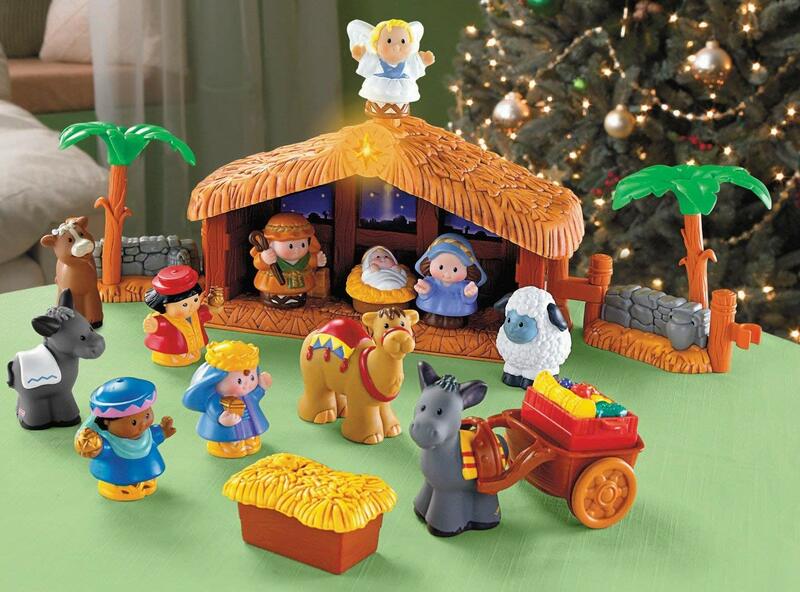 Head over to Amazon.com where you can grab the Fisher Price Little People Deluxe Nativity Set for just $24.95 shipped when you clip the $1.21 coupon. This might be the only chance you have to grab this cute set at a discount as we get closer to Christmas. This Little People Nativity is perfect for preschoolers. It comes with 12 figures including Jesus in the manger, Mary, Joseph, and the wise men. Press down on the angel and the star on top of the stable lights up and plays "Away in a Manger". Your kiddos will love this one!